As children, My Super Soulmate (or “twin flames” plus), AC Twinklebear Lesley Maclean and I, both had recurrent dreams of levitating, and flying. We both had these at our respective ages of ten or younger. I was so convinced by these extremely realistic dreams, that I could teach myself the same techniques that enabled me to fly in my dreams, so as to be able to fly for real. Of course, I could not. The coincidence of the same recurrent dreams of flying for both of us, are just one of many synchronous phenomena, that characterize Twinklebear and me, as the rarest, and highest form of Soulmates—Super Soulmates—which we consider to be “twin flames,” but even moreso. in this regard. Every Soulmate relationship, has it’s defining moments. I would have to say in my and Twinklebear’s case, there are truly too many momentous events, to catalog or describe. However, there was one recent one I would like to divulge, that has great significance. I would like to try to convey what was so profound about it. There is one activity that Soulmates engage in, that sets them apart from ordinary, run of the mill husbands and wives, the latter who, mistakenly believe that they are true Soulmates. And that is the gift of being able to—feeling compelled to really—gaze into each other’s eyes deeply, and for extended periods of time. One characteristic of eye gazing for true Soulmates is, you cannot get enough of it. True Soulmates are in fact, loathe to break this mesmerizing, mutual eye-lock. The more Soulmates lock eyes, the greater the feeling that each is seeing deeply into the other’s mind and soul. This produces a feeling of euphoria. The sensation, is real and intense. One must experience it, to know how rooted in reality it is, recognizing it, in the deepest recesses of one’s mind and soul. This is easier said, than done—or conveyed—to the uninitiated. True Soulmates find this deep inspection of each other, endlessly fascinating. There is something deeply spiritual in the act. For ordinary couples however, the feeling they get when gazing into each others eyes for long periods, is unavoidable discomfort. They begin to cringe a bit. They feel the compulsion to look away at a certain point, to break away from the embarrassing discomfort they naturally experience. For ordinary couples, the eyes glaze over, interest is lost. This is similar to the way cats are not able to match your gaze, for very long–they must avert their gaze. Ordinary couples find no fascination in the eye-lock with their partners. There is no sense of spiritual profundity, in the act for ordinary couples. We both began to tear up, and weep tears of joy. MUTUAL RECOGNITION: Sensing memories of us in past lives, brought tears of joy. The tears accompanied our simultaneous feeling of certainty, that we had past lives as spouses before, perhaps many times before. This intuitive knowledge on both of our parts, that occurred at the same for both of us—materialized without us speaking of it. The sheer wonder of this reincarnation-related revelation to both of us at the same time, brought deep emotions of joy, and tears of joy. It was accompanied by flashes of memories of us in previous lives, feeling the same feelings and thoughts, as we do in this current existence. We instantly knew that we had similar patterns of behavior and speech interaction. We recognized the same feelings of deep need and love for each other in those previous lives—that we feel now. This certitude of mutual recognition of “insider knowledge” rooted in previous lives together, is a characteristic, of extremely close Soulmates. 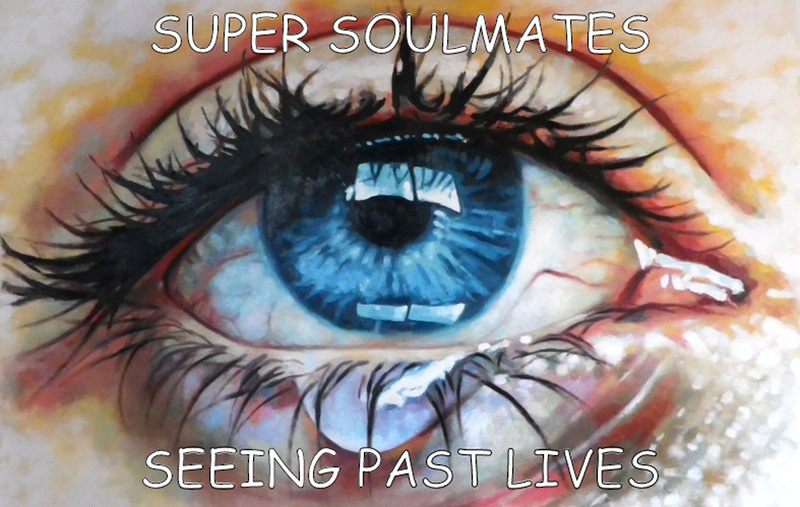 Reincarnation has always been a cornerstone of the dogma of twin flame, Super Soulmates. Reincarnation of the same two Soulmates together, is what sets Super Soulmates apart, from ordinary Soulmates—the latter who are not reincarnated Soulmates of the other. Just to clarify, one can have many ordinary Soulmates, from siblings to friends, to spouses, etc. These however, are distinguished from Super Soulmates in that, Super Soulmates (“twin flames” plus) have been together, since the beginning of time. For it was at the very beginning of time, that Super Soulmates, joined in union, as One Soul, the two individuals sharing that One Soul for all eternity. Super Soulmates, have only one true Soulmate throughout time, and that is his or her twin Soul. And that is what Twinklebear and I are: Super Soulmates, who have had only one true Soulmate, each. 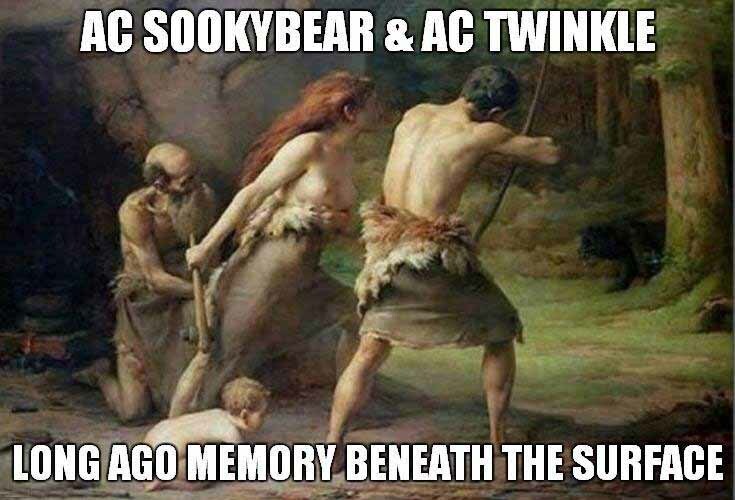 For me, my one and only true Soulmate throughout time was and is Twinklebear, and for her I am her one and only one true Soulmate throughout time. It is indeed, something to cry over.